CEBU, Philippines ㅡ Social Media Marketing is always changing, thanks to the pervasive ownership of smartphones, the booming of video streaming and data online, fused with a cultural desire for useful and relatable content. Do you want to know which trends will impact YOUR organization in 2017? Ever wondering how you can jump on some of these trends to get ahead in the competition? 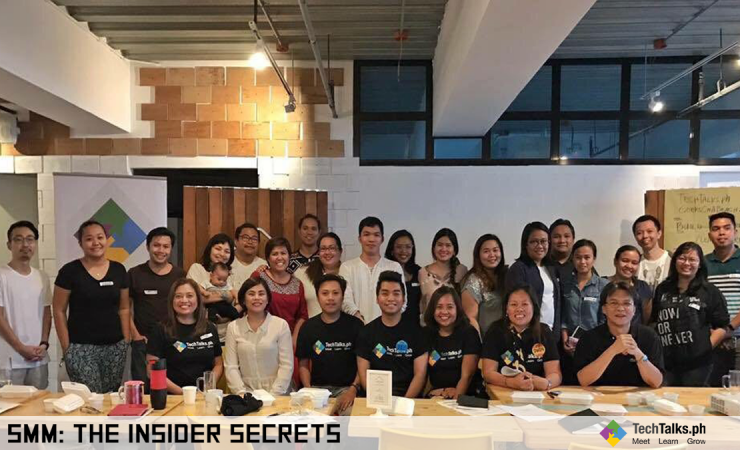 The Social Media Marketing (SMM) : The Insider Secrets was held at the iioffice Cebu on April 22, 2017. The invited speakers were Tina Amper, founder of TechTalks.ph, Kareen Satorre, TechTalks.ph Marketing Manager and John Gleen "JL" Grava, TechTalks.ph Project Manager. The workshop discussed the top trends in digital marketing that social and digital Marketers should be paying attention to. They also examined various social media platforms and shared best practices that they can integrate into their overall marketing strategy. The workshop was based on a Silicon Valley certification course for online marketing professionals. The class provides video and in-person presentation. Aside from learning the principles of international standards in social media marketing, you will learn the techniques and use the right tools that the market requires. Fast-paced and designed for beginners to intermediate learners, this will prepare you to take the exam as a U.S.A. Certified "Online Marketing Associate." The workshop also featured group work activity among attendees where they were given scenarios on how they can create Social Media Campaigns from different brands and situations. The workshop ended with a positive and happy note where all the attendees committed to the workshop's activities and they were able to share some insights to one another as well.